Marriage equality – Spedtacular Me! Why do we idealize the “dramatic” relationships? I am currently rewatching two of my favorite shows; Friends and One Tree Hill. I have seen them both all the way through at least once and love them both, but this time while watching them I have noticed a similarity I did not see before. . . both of the ‘Great’ love stories are SO dramatic. Then there is the short period of time where they were SO happy and you just cheered to yourself every episode because all was finally right in the Friends world. And of course then comes the “WE WERE ON A BREAK!” saga, that would carry us through for many more episodes . . . seasons even! Fast forward a few years, they have a daughter and they STILL don’t get together. It takes them so many years to finally get it together that by season 10 they are still figuring it out. Both of these relationships are so full of drama that not even the characters can figure out if they are going to be together until it is almost too late. And yet we LOVE them we claim them as #couplegoals we all go around trying to find the Ross to our Rachel. Why do we crave drama, does that equal passion in our mind? The fact that they can never make up their minds or stay together for more than a season really makes us think they are made to be together? How in the world do we think they are going to have a healthy marriage when they have been running at the first sign of trouble for the last 10 years? I believe this just sets us up for failure. We are so busy waiting for that “passion” that when we find our Monica and Chandler, or our Nathan and Haley we think it is boring and move on looking to fill that dramatic void TV has set us up to believe should be the leading characters in our lives. 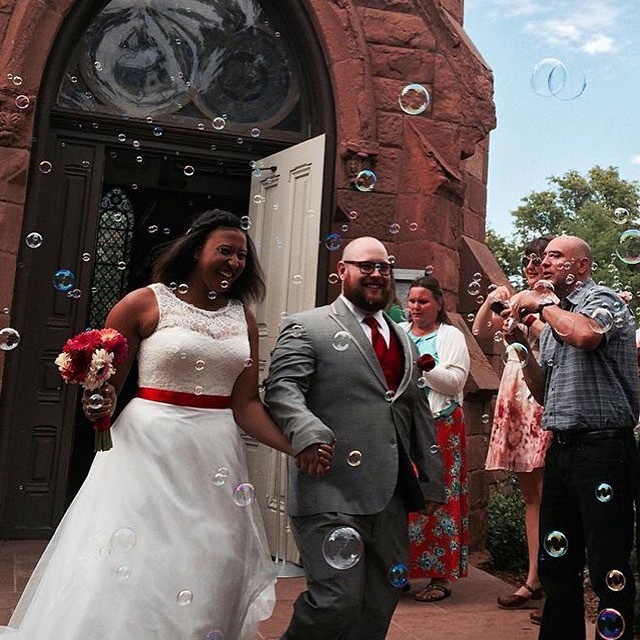 Well, today is my 2nd wedding anniversary, and let me tell you that there was none of the Ross and Rachel drama involved in our courtship. Once we decided we wanted to be together, we were together. And then we worked our asses off to make sure that we stayed together, there were no breaks, no scandals no drama. Not to say we didn’t have our fair share of fights because let’s just get real EVERYONE FIGHTS. But fighting doesn’t equal passion and drama doesn’t equal love and we worked to stay together and happy through the fights and walked ourselves right through dating, engagement, and marriage just fine. I want to be Monica and Chandler, or Nathan and Haley. I want to fall in love at 16 get married and work like HELL to get through the hard times. To grow together, to grow up together. To fight, hate each other at times but always fight for the love you want. To make a choice and stick with it! Because in the end that is what love is, it is a choice every day to fight to push the other people to be their best self to be your best self for them. To live your best life together! To live your best life together! So why doesn’t TV show us those leading couples, why is there always the DRAMA, because then we are left looking for what we think passion is. But when it comes down to time to fight for what we want., to make a choice and stick with it. When we are forced to examine life together, we turn to, let’s take a break. Instead of let’s work this out. We think that if it is meant to be after 10 season and endless other relationships and marriages (If you are Ross) you will find your way back to each other. But that is not what love is, love isn’t finding your way back together, love is choosing to stay together. To fight for each other every day! So forget Ross and Rachel and Lucas and Peyton. I want to make my choice, the same choice every day. Here is a picture of my husband and I celebrating our 2nd anniversary in San Fransisco this weekend. Yep, I got him these cheesy socks because we do traditional anniversary gifts and year two is cotton. A little walk down history lane . . let’s look at my marriage. 9 days ago this happened!! 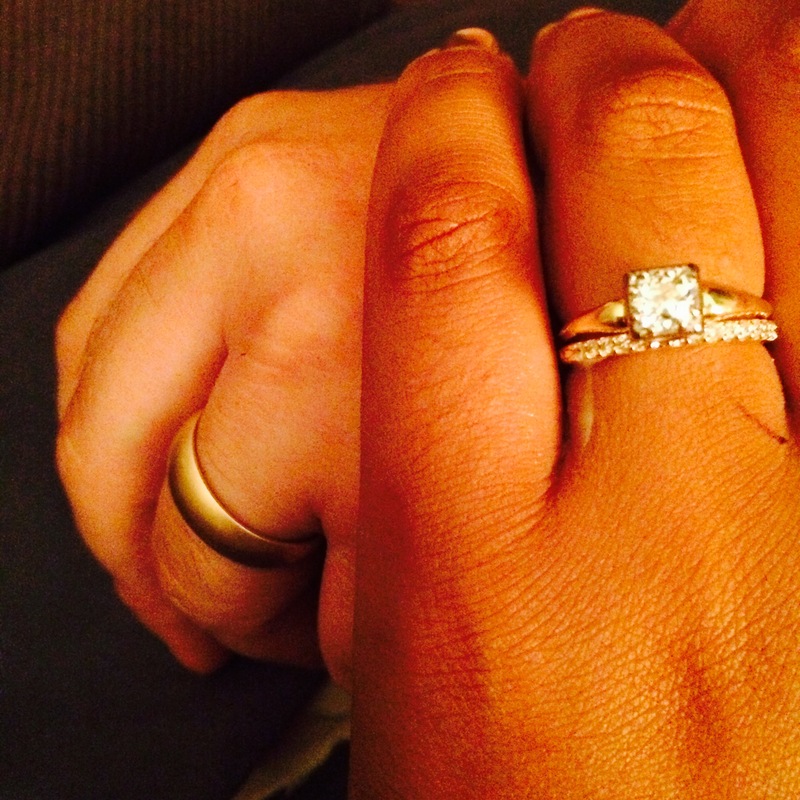 I married the love of my life in a beautiful ceremony with all of the most important people in our life and no one said one word about the little black girl marrying the white man, but that wasn’t always the case. We as a country just won another monumental history battle for the LGBTQ community by legalizing marriage for their community but in the not so far off past we were fighting for my marriage and for some people this is still the first thing that they see when they look at my new husban and me. Mr. first pointed this thought out to me on our honeymoon, there was another interracial couple at the resort we were staying at and he pointed them out to me, he stated that ever since we started dating more than 2 years ago he notices these couples more and feels some sort of camaraderie with them, a little head nod in the direction of the guy, a bromance over the love they found with women of different races. We have been lucky enough to go through our relationship without any real push back or fights over these fact. HIs grandfather when we first started dating famously asked his dad if ” I was just really tan.” And then was equally confused when he met my white mother. But there was no maliciousness to this request just wanting to get his facts straight. And when a white man walked me down the aisle and gave me away there were murmurs of confusion, questions if I was adopted and where this man came from, but that was it at the end of the day we have had a very easy relationship in this field, and I am grateful for that but that doesn’t mean it was always, or even stil is the case in some places in the world and in this country, so lets look at that. 50 years ago… Hell 20… probably 10… years ago this card could never have been made. The United States Supreme Court did not legalize interracial marriage until 1967… 1967 my mother was 7 years old and probably already having first grade crushes on the little black boys in her class but that sort of relationship was illegal. In 1958 the Loving’s broke this law and wed anyway and were faced with several days of jail time and persecution for falling in love. When I was given this card for our wedding i was overjoyed I had never seen a card like this, and then I got to thinking why haven’t I? I can remember a few years ago that my friends went from target to target looking for the glimpse of the first gay and lesbian wedding cards that were being premiered at Target Stores across the nation it was a mini-victory in a fight that they had not won yet. 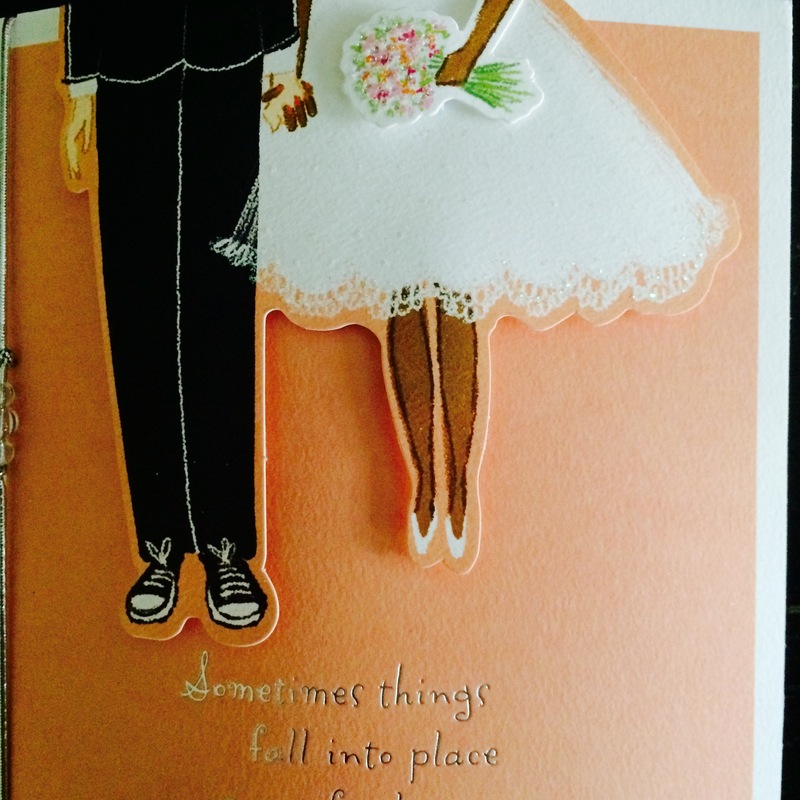 And yet here I am 50 years after that supposed battle was won for us and I am surprised and beside myself to find an interracial marriage card? They had to fight between classes, between families, between bloodlines, between races, between genders, and through all of this they cry love is love. This cry is not political or aggressive it is simply a cry to let us love one another. ” Love one another as I have loved you. ” No rules, regulations or stimulations. Let us love and be loved. My walk down history lane reminded me how close I was in history to not being able to marry the love of my life because of the color of my skin, the last law again interracial marriage was taken off of the books in Alabama in 2000!! 2000 I was 9 years old and definitely had a crush or two on a white boy by then. How is it that in my life time we are still crying Love is Love and begging people to hear. . . when we look back on history how far back was it when you are your love could not have been married? Separated by oceans, languages, classes, religions, country, family, race, gender, whatever else could be used to separate you… if we look back far enough we all had a time when we would have had to shout love is love. . ..